ROTARY SQUARE AND MARKET GRAND OPENING! Come Get Yer Green Things! Man! I’m really going to sleep well when I die, because I sure as heck ain’t catching any z’s now! Once again, I find myself falling behind… Well, it’s not entirely my fault. We haven’t been able to get new earth worked up and ready for planting due to all the rain we’ve been having, but this past week some rows were worked up and not a moment too soon. I have Moon and Stars watermelon and Hale’s Best cantaloupe plants that are ready and rarin’ to get out of their plastic cells and into the ground where they can spread their roots! I’m also past due on sowing Kentucky Wonder pole beans and Provider bush beans, but I hope to get all this done this weekend. On a brighter note, my German Johnson, Red Pear and Sweetie tomatoes, California Wonder bell and Ring-O-Fire Cayenne peppers, Success squash, Midnight Lightning zucchini and Marketmore 76 cucumbers are out in the field and loving life! Prepare yourself for some of that deliciousness. I would call the “soft” opening of the Rotary Square and Market a success, despite the misty rain we had all day. Thanks to you all who came out to the market! This Saturday is the Grand Opening, and the forecast is warm and sunny! 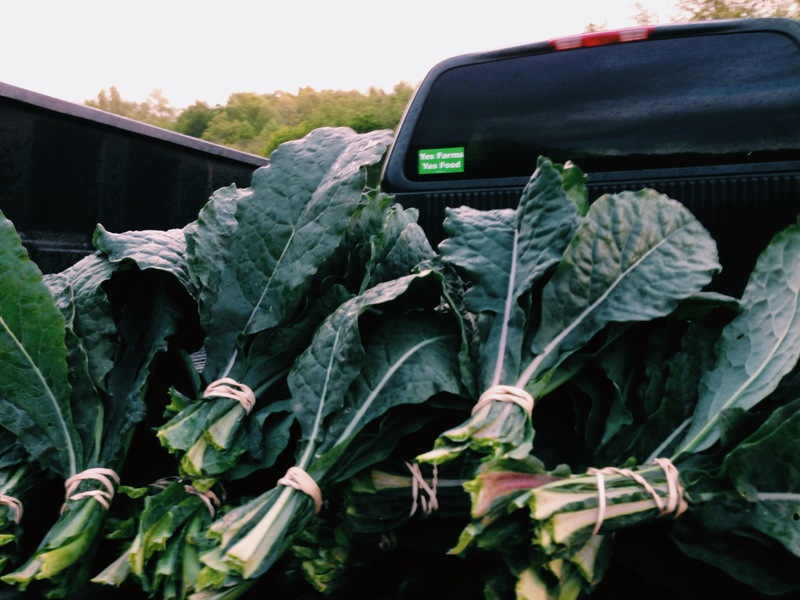 This week at the Lomax Farm table we will have Street Fare Farm baby Lacinto kale bunches, Hamilton Heritage Farm Rudolph radishes and baby Red Russian Kale, and Lomax Farm squash, zucchini, Easter Egg radishes, spinach, Asian greens and mesclun lettuce mix. We will also feature yours truly, ready to serve with a smile on my face (and bags under my eyes…) I hope to see you there! What are your plans for the rest of the weekend?!? I know, come on out to the farm for some dirt therapy! I’ve got a lot to do on Sunday, planting, sowing, weeding, thinning and fertilizing, and I would love to hang out with you! Shoot me an e-mail for directions, you know you want to! A special thanks to Betsy and Susan for coming out and helping me weed and thin my carrots this past weekend, and to Allie for helping plant cucumbers and pluck the buds off my peppers and tomatoes. Thank you so much! Get some extra sleep for me! 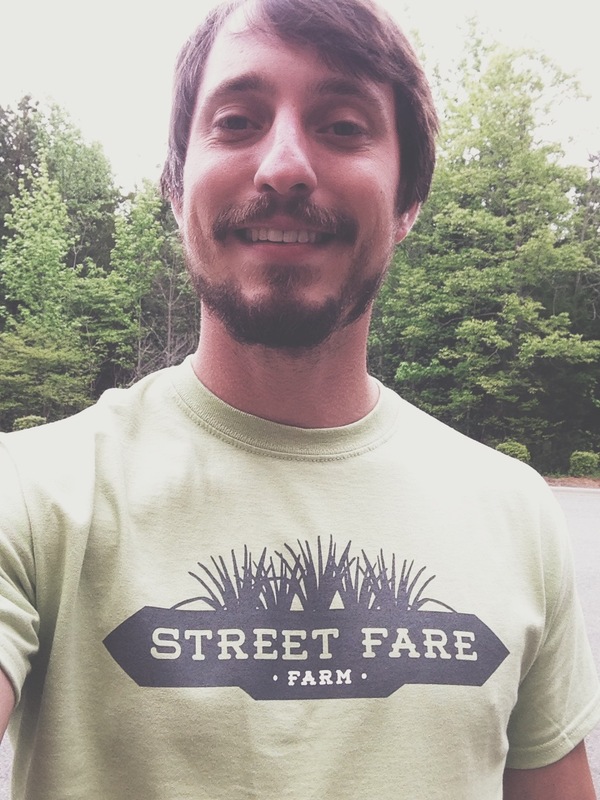 Stop by and check out my website at http://www.streetfarefarm.com, and follow me on Instagram @streetfarefarm. Be well!